Spice Up! 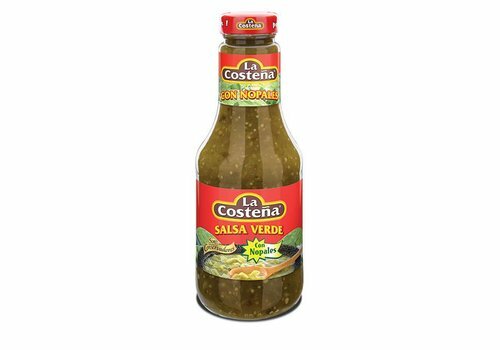 Find your favourite Mexican Salsa or hot sauces at Tjin's! Chipotle sauce, various salsa sauces, hot sauces. Try these Mexican sauces as dips or for tacos, burritos etc. 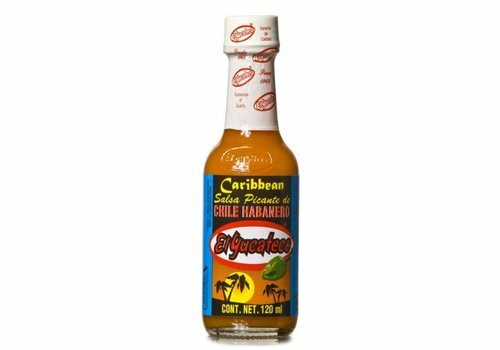 This hotsauce is made of Red Habanero peppers, also known as the Scotch Bonnet Peppers. 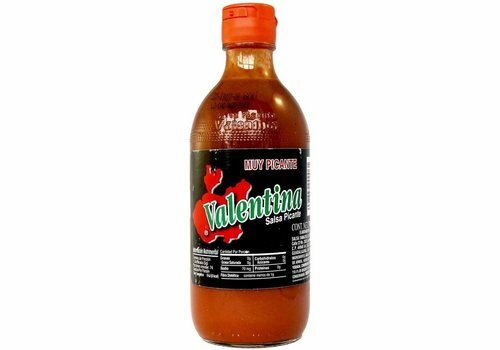 To use as condiment, to make your meal even spicier! 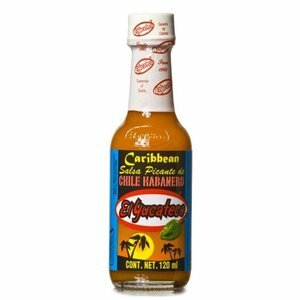 This hotsauce is made of green Habanero peppers, also known as the Scotch Bonnet Peppers. 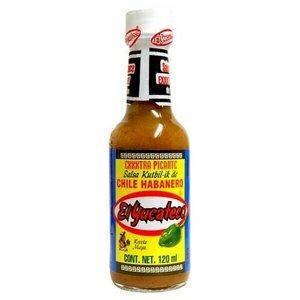 To use as condiment, to make your meal even spicier! 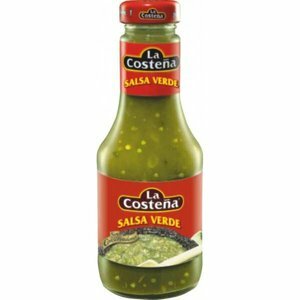 The La Costena Salsa Verde is the most popular green salsa made from Tomatillos and various herbs. 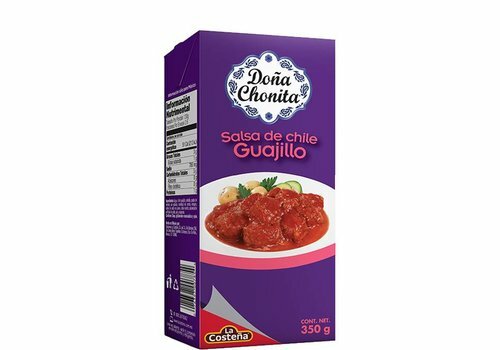 This medium spicy salsa is used on chips, cucumber, eggs or even chicharones to heat and add flavor to snacks. 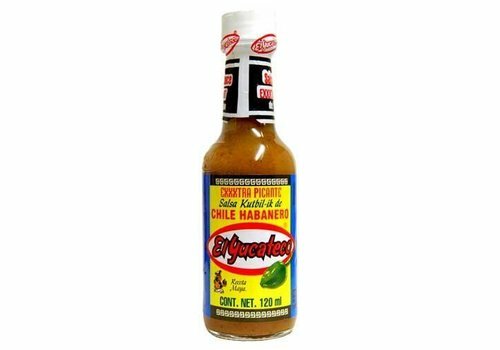 Tamazula Salsa Muy Picante is a spicy and smoky red sauce with chili peppers and spices. 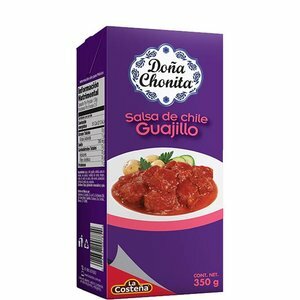 Spicy salsa of chili and tomatoes. 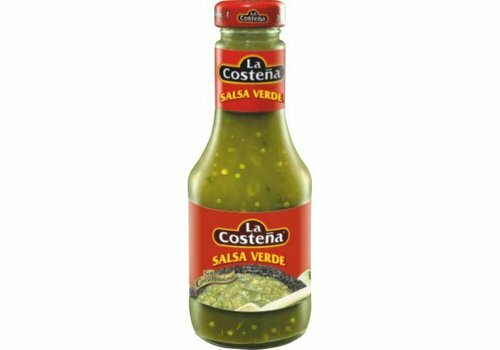 Ideal for all Mexican dishes such as tacos and quesadillas. 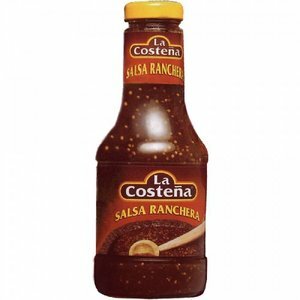 The La Costena Salsa Ranchera is a medium-spicy Mexican salsa made with tomatoes, chillies and herbs. 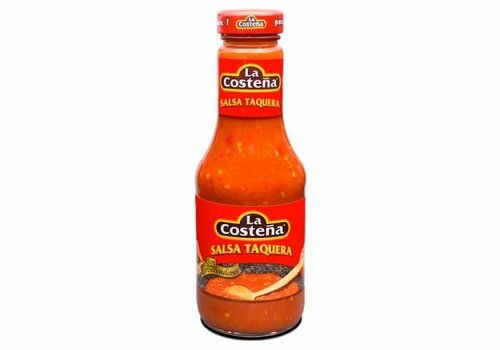 This salsa is served hot and can be used for chicken, beef or pork dishes. 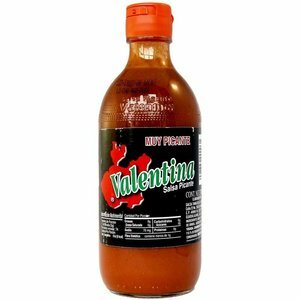 One of the best-known Mexican sauces made from tomatoes, chili peppers and various herbs. 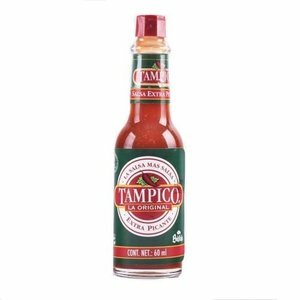 It is widely used in tacos, burritos and as dipsauce. 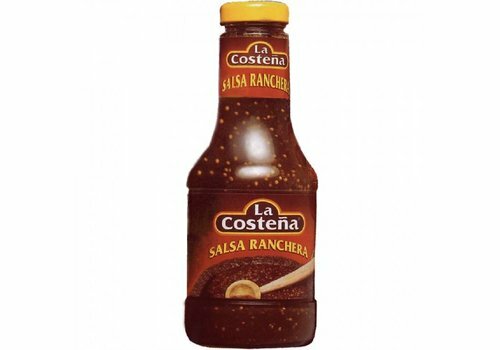 The Salsa Chipotle is made from the most popular Mexican pepper: Chipotle. The smoked spicy taste is used worldwide in many dishes. 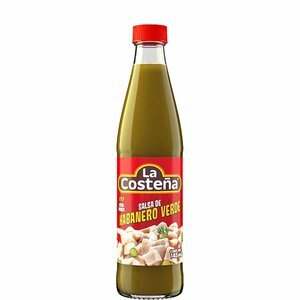 Natural cooking sauce made of coriander and jalapeno peppers. Fiery habaneros chili paste in a practical squeeze bottle. 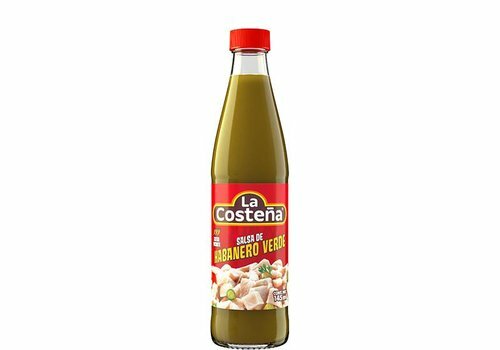 Suitable for hamburgers, hot dogs, pizzas, spreads or dip. 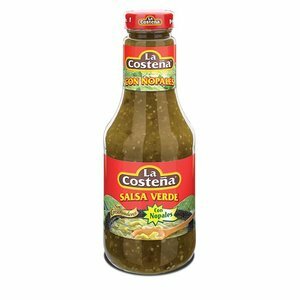 This sauce is made of Green Tomato (tomatillo) blended with onion, garlic, green chilli, salt and pepper. It is used to prepare traditional foods such as enchiladas or chicharron en salsa verde (pork skin in green sauce). Pasilla chili sauce Doña Chonita can not be missed in your pantry, because it is the addition that will make a difference in your culinary art. 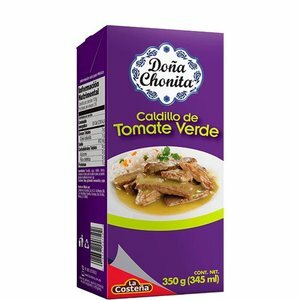 It is perfect to add to pork or chicken. 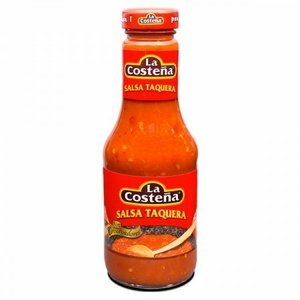 This ready-to-use cooking sauce is made on the basis of Chipotle peppers. That are smoked red Jalapeno peppers. This taste is widely used in the Mexican and American cuisine. 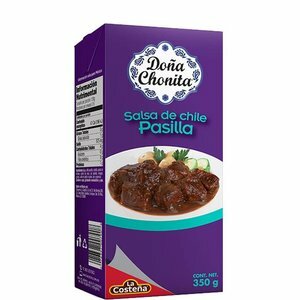 Perfect for ground beef and chicken! 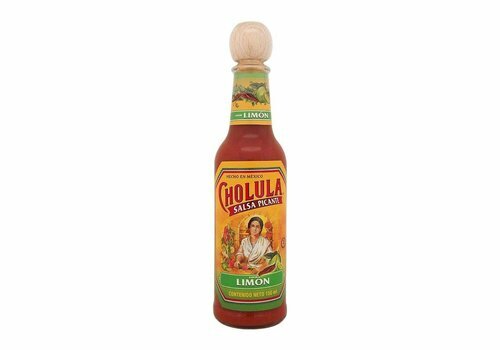 If you are looking for a refreshing burst of citrus mixed with a welcoming heat, then Cholula Chili Lime Hot Sauce is the right choice.